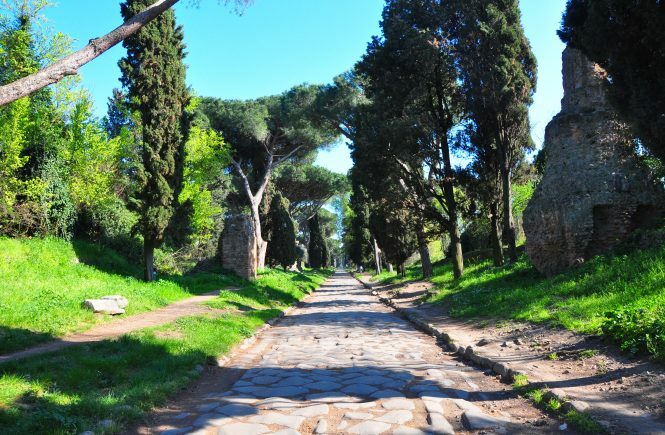 What better way to celebrate spring than with a stroll on the ancient Appian Way? The Appian Way (or, to Italians, Via Appia) was built all the way back in 312 B.C. And it was crucial. The first road linking farther-flung parts of the Roman empire with the capital, it first ran to Capua, just north of Naples; since it allowed Romans to transport soldiers and supplies, the Via Appia proved integral to the Romans conquering the Samnites of southern Italy. In 191 B.C., the Romans extended the road all the way to Brindisi, in modern-day Puglia. That’s the context. The really cool part? 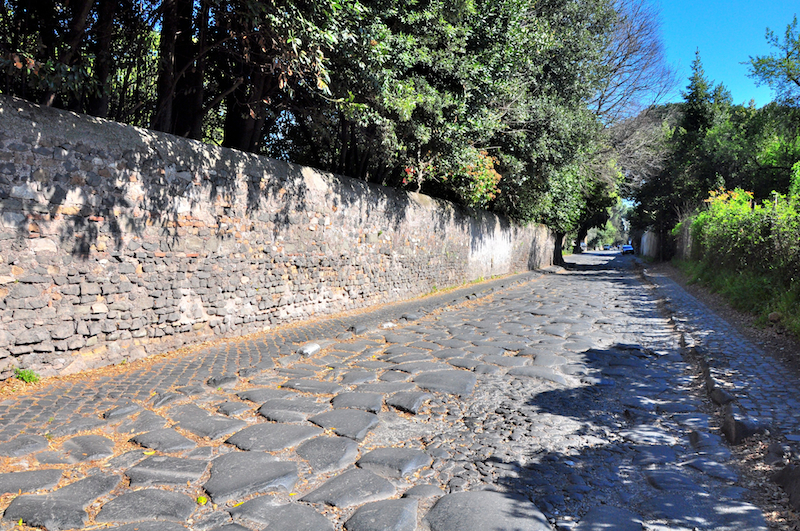 You can still walk on the Via Appia Antica today. On stones ancient Romans would have walked on. Or even take a bike ride. Check out my video of bicycling down the Via Appia Antica (and hold onto your handlebars—those paving stones make for a rocky ride!). 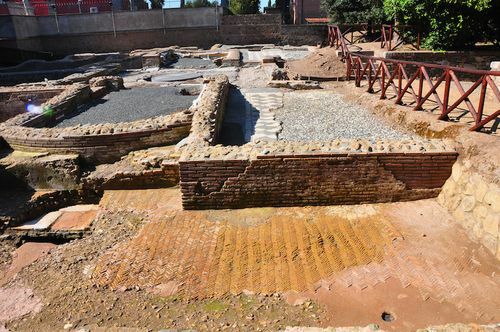 Not to mention that the Appian Way boasts ancient catacombs, tombs, mausoleums, and even fragments of villas that once would have lined this all-important entrance to the city—a way for Romans to flaunt their wealth and status. Spartacus, the famous leader of Rome’s largest slave revolt, was crucified on the Via Appia along with 6,000 of his followers in 71 B.C. Just imagine the bodies lining the 125 miles between Rome and Capua. Shudder. St. Peter took this road out of Rome, fleeing Nero’s persecutions, in 64 A.D. According to legend, he saw Christ—crucified years earlier—coming into the city as he left, provoking his famous phrase “Domine, quo vadis?” (Lord, where are you going? ), a question immortalized in the name of the church built on the spot. In the villas along the road, early Christian converts allowed their fellow Christians to worship and, ultimately, to be buried beneath their gardens; catacombs sprung up along (and beneath) the Appian Way. That’s all, of course, aside from the fact that this was a busy thoroughfare that would have been used by soldiers and plebeians, patricians and consuls, throughout the Roman empire’s existence. In other words: Yes, Caesar walked here. And in a lot of ways, the Appian Way hasn’t changed much. As it would have been in earlier times, the Via Appia remains a chic address, one that shows wealth and breeding; villas are still set off from the main road, gated, just as they would have been 2,000 years ago. 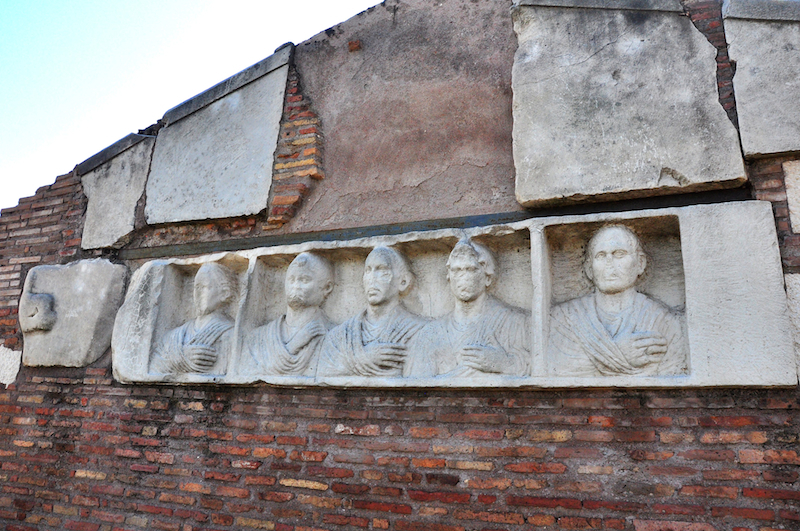 Of course, there are also lots of sights to see along the Appian Way, too. Like the Mausoleum of Cecilia Metella (below). 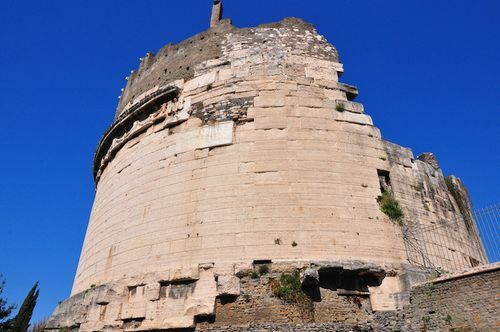 The best-preserved tomb along the Via Appia, this was built for the daughter-in-law of Marcus Licinius Crassus—a guy who suppressed Spartacus’ slave revolt, entered the First Triumvirate with Pompey, and who was the richest man in Roman history. In the early 14th century, Pope Boniface VIII acquired the tomb for his family, and it was turned into the fortress you see today. Or the Villa dei Quintili, a huge villa built by the wealthy Quintilii brothers in the 2nd century… so huge that, when it was first excavated, locals thought it must have been a town. In fact, the villa was so incredible that Emperor Commodus put its owners to death—just so he could get his own hands on it. Or the Circus of Maxentius (below). Erected in the early 4th century, its fragments still give an idea of the grandeur of what was once the second-largest circus in Rome, after only the Circus Maximus. Or the Capo di Bove, an archaeological site that’s just a sliver of an enormous property; the villa was built in the 2nd century by Herodes Atticus, the tutor to future emperors Marcus Aurelius and Lucius Verus, and Aspasia Annia Regilla, his aristocratic (and 25-years-younger) wife. The excavations today reveal what would have been the villa’s thermal baths, complete with original flooring and mosaics. A murder mystery is hidden here, too: Annia was kicked to death at eight months pregnant… and it’s thought her husband may have been responsible for her murder. Or the Basilica of San Sebastiano fuori le Mura, the church of the Catacombs of St. Sebastian, most fascinating—at least to me—for having a Bernini sculpture no one seems to know about: the “Salvator Mundi,” a bust of Christ that art historians think was Bernini’s very last work. (It’s on the right as you enter the church, beside the Relics Chapel). That’s not to mention the catacombs themselves, including the Catacomb of Callixtus and the Catacomb of St. Sebastian. Still not convinced? Just check out how peaceful the Appia Antica is right now. And how beautiful. 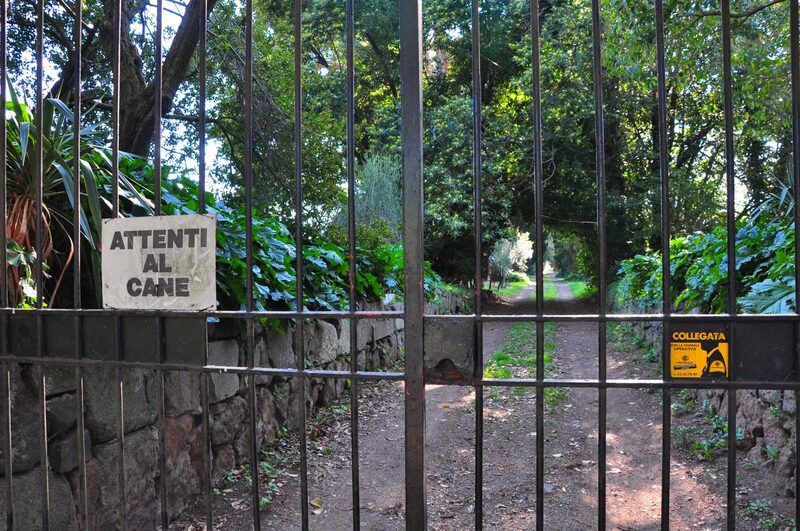 (After the first part of the Via Appia, the road becomes closed to most traffic, so it’s perfect for pedestrians). The best way to get to the start of the Via Appia is to take a bus: the #660, which leaves from the Colli Albani metro stop, or the #118, which leaves from the Piramide metro stop. 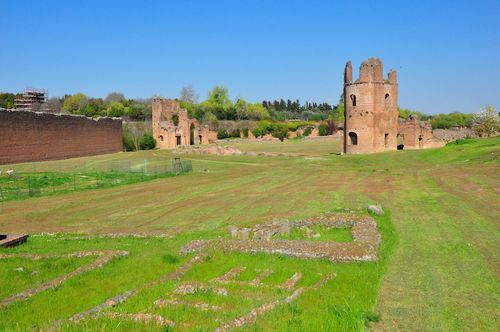 Both also stop close to the bike rental at Via Appia Antica 42, if you’d rather bike than stroll. Just remember not to take your stroll on a Sunday if you want to enter the sites, as that’s when the catacombs are closed. 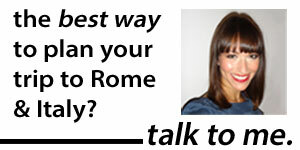 Also: two facts about ancient Rome you probably didn’t know, why you should visit Rome’s only pyramid and why you might want to visit Naples.